Bill graduated from Vermont Technical College in 1991 with an associates degree in architectural engineering. 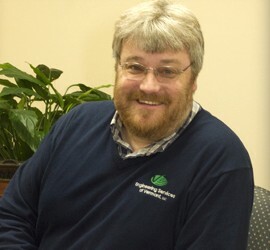 Bill has been with Engineering Services of Vermont as an electrical designer since 2012. His experience, knowledge, Revit and AutoCAD skills make him a valuable addition to the team at ESVT. 1998-2005: Owner/Founder, Mid-Vermont Drafting Services, Inc.
1997-2003: Electrical Designer – Draftsperson, Lane Associates Consulting Engineers, P.C. 1992-1997: Mechanical & Electrical Draftsperson – Database Manager, Dubois & King, Inc.